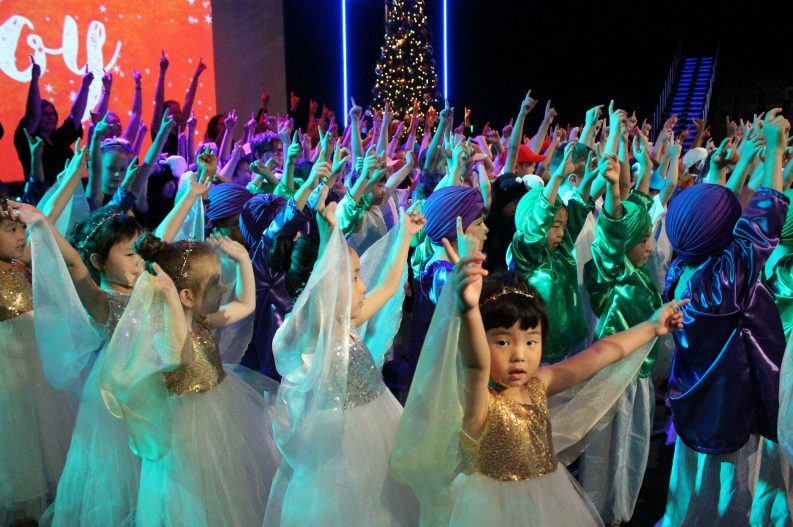 Our annual Infants Christmas Concert offers the opportunity to quieten your soul from the busyness of the world and be reminded of the great gift of our Lord and Saviour, Jesus. This year our Infants students presented an unexpected retelling of the Christmas story. There were the usual characters, Mary, Joseph, wise men, angels, shepherds and sheep. However, the story was told with some surprising twists to reflect the “unexpectedness” of God’s plan of salvation for the world. Stirring dance numbers, rocking music, pre-filmed narrations, sparkling angels, glittering stars, glamorous sheep and stray wolves. The overall feeling was one of joy, reflected in the children’s excitement of being onstage. The Concert finished with the performers and audience singing Joy to the World, a joyful rendition of praise to our merciful God.